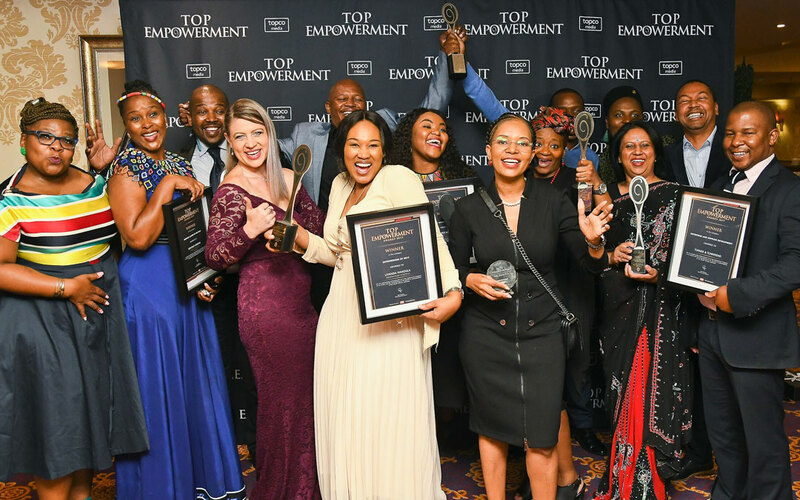 Shining a spotlight on South Africa’s significant milestone of 25 years of transformation and economic empowerment, winners in the 18th Annual Top Empowerment Awards were announced on Thursday 11 April 2019 in Johannesburg. With an expansive career of significant and historical contributions to the transformation and development of South Africa, the 2019 Lifetime Achievement Award for Empowerment was bestowed upon Former President Kgalema Motlanthe, celebrating and recognising his indelible impact on the evolution and growth of social cohesion. The Top Empowerment Conference serves as the nation’s leading independent authority in driving the agenda of equal economic participation and offers the ideal platform to map out the future of empowerment and open avenues for businesses into the economic mainstream. Reflecting on the past twenty-five years of economic transformation, Top Empowerment Summit supports, facilitates and leverages South Africa’s public and private sectors’ capacity to unlock the potential that exists within black-owned and managed businesses that operate within the South African economy. Through deliberate, targeted and well-defined interventions, public discussions and business networking sessions, Top Empowerment challenges public and private sectors to continually benchmark and improve their performance to boost growth and equity in the economy. This year’s Top Empowerment conference programme drew together South Africa’s preeminent empowerment business leaders, government officials, academics, mentors and transformation drivers for a packed programme of dialogue, exchange and networking to advance the empowerment agenda.